Partly cloudy. High 59F. 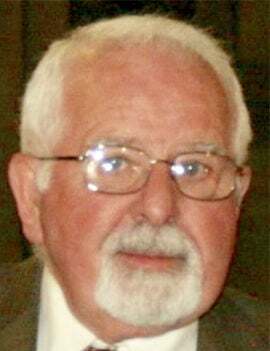 Winds light and variable..
James Munro Pedley NORTHFIELD - James Munro Pedley, 82, of Northfield, Vermont, passed away peacefully on Oct. 13, 2018, at his home, with his family by his side. James “Jay” Pedley was born at home in Lyndonville, Vermont, to Dr. Scott F. Pedley and Harriet Cowles Pedley, on Jan. 3, 1936. He graduated high school from Vermont Academy in Saxton’s River, attended Dartmouth College and continued on to receive a Bachelor of Science degree from the University of Vermont. Jay also earned a paralegal degree from Vermont Law School in South Royalton. Jay married the late Charlotte Mary Gage in 1959 and four children were born of this union. Jay worked for Eastman Kodak, Davis Auto and Green Mountain Lincoln Mercury, prior to buying Lemery’s store in Northfield. He and his family ran the store for 22 years. Jay was also a member of the House of Representatives in Montpelier for two terms. Jay was an accomplished ski racer and a force behind the installation of a rope tow at the bottom of Garvey Hill. He co-developed the Northfield Ski Racing program, coached many youth and attended ski races throughout Vermont. He was also a member of the Jaycees, Northfield Rotary, NHS School Board and Executive Board of the Merchants Bank of Northfield. Jay was a family man and an avid outdoorsman. He enjoyed sharing his love of the outdoors with his children and grandchildren. His passion of skiing Mad River Glen and Tuckerman’s Ravine was passed on from his father, Dr. Scott Pedley. He enjoyed camping, boating, waterskiing, fishing and going fast! Jay loved cars and was proud of the Model A he had in high school. Jay shared his love of deer hunting with his sons and grandsons. Jay was drafted and enlisted in the Army for the Berlin Crisis. He was stationed in St. Louis, Missouri. Later in life, Jay married Sally Schroeder. They bought a Ladies’ Workout Express franchise, traveled the United States and visited friends along the way. They were actively involved with the Northfield Historical Society and recently spearheaded the development of the Dog River Park. Jay is survived by his wife, Sally N.; son, Jeffrey Pedley; son and daughter-in-law, Andrew and Kim Pedley; son and daughter-in-law, Derek and Linda Pedley; daughter, Lori Buchanan; three grandsons and one granddaughter, Blaine Pedley, Brandon Pedley, Gage Buchanan and Brittany Elliott, all of Northfield. One sister, Polly Brogan, of Pottstown, Pennsylvania; brother and sister-in-law, John and Sheron Pedley, of Rochester, New York; brother and sister-in-law, Mark and Dianne Pedley, of Fairfax, also survive him. Jay is survived by many nieces and nephews and his wife Sally’s four sons, their wives and children. Jay was predeceased by his wife, Charlotte, his mother and father, Dr. and Mrs. Scott F. Pedley. Funeral services will be held 10 a.m. Oct. 20, 2018, at the White Chapel, Norwich University, with the Rev. William Wick officiating. A private burial will be held at a later date. The Kingston Funeral Home will make arrangements.